Human and robot in close collaboration. 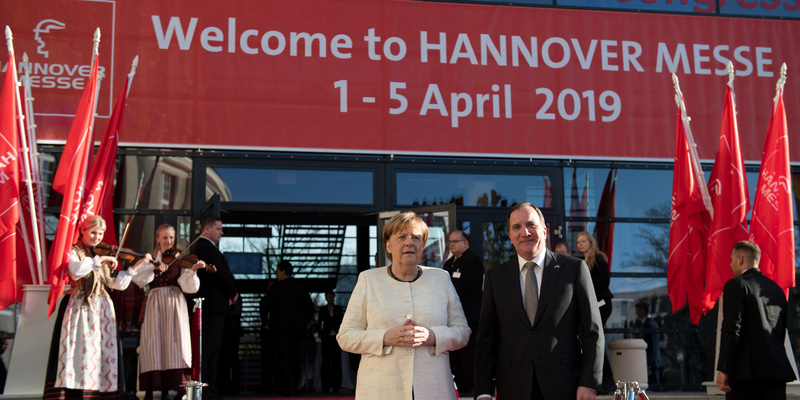 It is one of the strong images of Sweden when the Hannover Messe, the world's largest industrial fair, is officially inaugurated. Image above: From the inauguration of the Hannover Messe 2019. 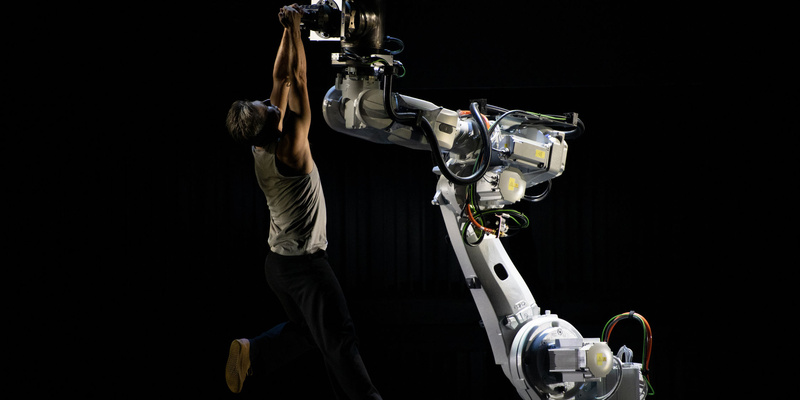 The dancer and choreographer Fredrik Rydman dances with one of ABB’s industrial robots. Photo: Deutsche Messe. When the Hannover Messe, the world’s largest industrial fair, is officially inaugurated on Sunday evening with Sweden as a partner country, the invited audience met a very spectacular performance by the dancer and choreographer Fredrik “Benke” Rydman and one of ABB’s industrial robots, IRB 6620. 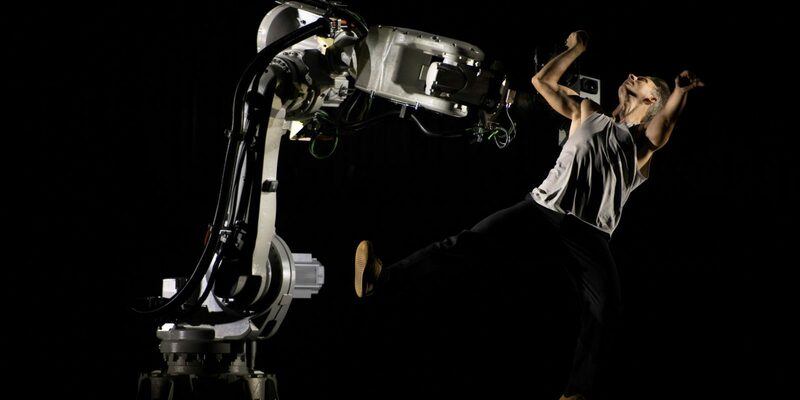 The very advanced interaction between the dancer and the 900 kilogram heavy robot has been programmed by developers at the Vinnväxt initiative Robotdalen. For the audience at the inauguration, it becomes a signal of advanced Swedish technology and also of the collaboration between humans and technology. “We are moving towards a future where robots and artificial intelligence will be a part of our lives. It is interesting to see how we will deal with it,” said choreographer and dancer Fredrik Rydman. The piece was first shown in September 2018 at Kulturhuset in Stockholm. Robotdalens contribution has included robot programming, VR visualization and tool making. More than 8,600 lines of program code were produced, including 3432 robot movements. Developers at Robotdalen have been Hugo Andersson, Erik Hellström, Anders Thunell and Ingemar Reyier. Read more about the meeting between the dancer and the robot. The Vinnväxt program, which is part of the Robot Valley, is financed by the Swedish innovation agency Vinnova. Opening Ceremony of HANNOVER MESSE, Sunday, March 31, 2019, Hannover Congress Centrum Photo with: H.E. Stefan Löfven, Prime Minister of Sweden and Dr. Angela Merkel, Chancellor of the Federal Republic of Germany. Photo: Deutsche Messe.